Situated in the Terrasses du Larzac sub-district of the Coteaux du Languedoc, Domaine de Malavieille has been in Mirieille Bertrand’s family for 6 generations. It is an estate steeped in tradition, with dinosaur footprints and Gallo-Roman archeological remains serving as a testament to a long history of the land and its people. The domaine is certified organic and biodynamic. 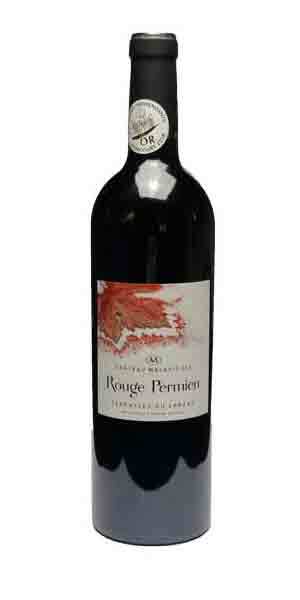 Chateau Malavieille Rouge Permien is a blend of Carignan and Grenache. The cuvee is very mineral driven and expressive of the terroir of Les Terrases du Larzac as it is an assemblage of some of the oldest vines of the estate. Aromas of raspberry, cranberry, licorice with a certain earthy minerality and light incense and spice notes.